This new component from Fixkin in Italy is simply called the LOCK. Now, I couldn’t translate the text properly and there aren’t diagrams or assemblage photos so I’m going to take a crack at deciphering its intended use. The LOCK appears to bolt into a hub’s threads. Then it allows you to run a proprietary cog on it. 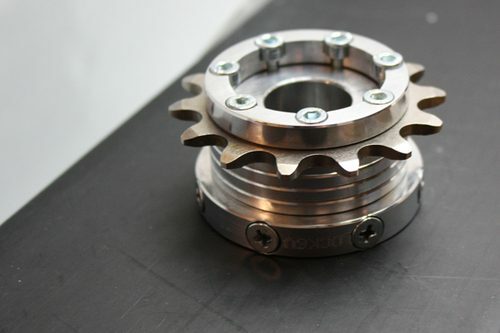 Say you strip your threads or you want to make a cheap conversion, this would be your answer if you have an older-style hub body (with freewheel threads, not a splined interface). It’s interesting for sure. You better make sure all those bolts are well tightened! Maybe someone who speaks or reads Italian could explain it better for us?